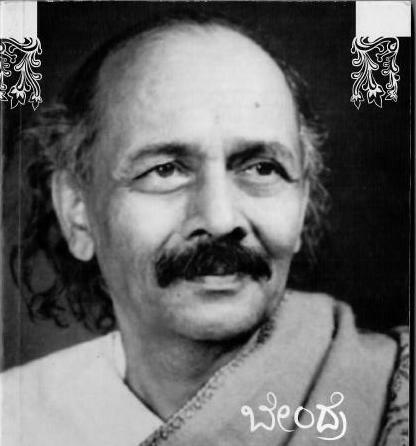 A number of Bendre’s poems were actually ನಾಟ್ಯಗೀತs or “dramatic songs” – many of them composed for dramas that were never completed! The two song-poems featured here were written for a drama called ಸತಿ (Sati); which too remained uncompleted. Like Bendre himself notes, the context of these song-poems is as follows. A king of Pataliputra, having already wed three hundred princesses, invites to his palace the wife, Sati, of the celebrated ascetic Dhyanagupta of Vaishali. Cloistered in the queen’s quarters of the palace, these are the songs the three hundred princesses sing (in chorus) when they learn the news. Will you forget us – us all? Will you come meet us – us all? Sweet, besotting, light-ring – king! Will you abandon us – us all? Intoxicating beauty’s bard – lord! To call upon us – us all? Come in merciful show – hero! Will you not save us – us all? Where are you O king, beloved! Where are you O king – beloved. Poems’ Details: From the collection “ನಾದಲೀಲೆ”, first published in 1938.